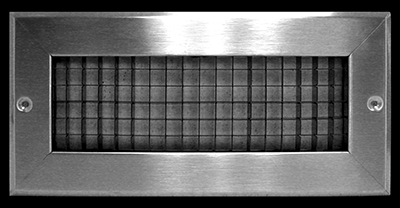 The Series 550 Return Air Grille is styled to match the 150 and 250 Supply Grilles. The face bars are non-adjustable and available in either a horzontal position (H) or vertical position (V), factory set at either 0° or 45° degrees, spaced on .750" centers. 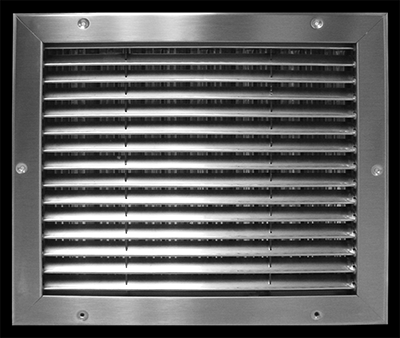 The 550 Series Heavy Duty Return Air Grille is styled to match the 150 and 250 Series Supply Grilles. The face bars are non-adjustable and available in either a horizontal (550HD-H) or vertical (550HD-V), factory set at either 0º or 45º, spaced on .750" centers (with optional .500" centers at an additional cost). 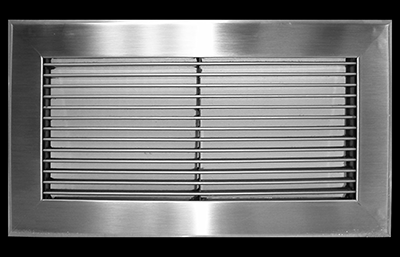 The SSLBG Series Linear Light Duty Bar Grille is designed for supply or return air in sidewall or sill installations. Designed with fixed 0° air foil blades parallel to the grille’s long dimension, blades are reinforced on approximate 8" centers. The Egg Crate Series provides 90% Free Area. Bars are 24-gauge Type 304 stainless steel in a ½" x ½" x ½" grid core. Type 316 stainless steel is available at additional cost. The egg crate core offers a large opening area for return air flow. Other blade size and spacings are available; consult with factory for availability. 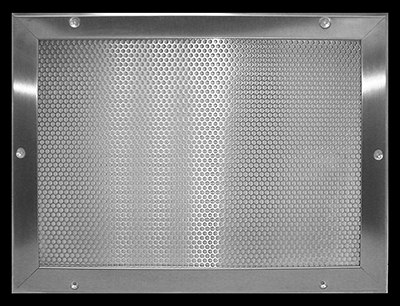 The SSPERF-R Perforated Return Air Grille can be used for a variety of return air applications from ceilings to sidewalls. 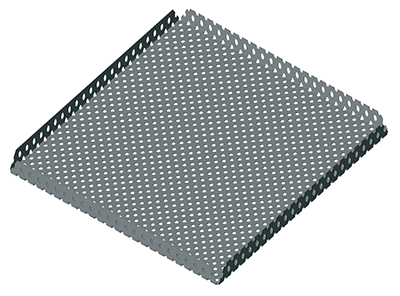 The SSPERF-Core Peforated Return Air Grille is made to fit standard T-bar ceilings or custom made-to-order sizes. 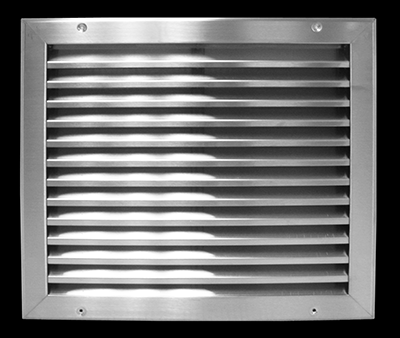 The SSG Series Louvered Return Grille is a non-adjustable return grille made with louvered blades for limited vision or exterior applications. The blades are reinforced from the rear on approximate 12" centers. 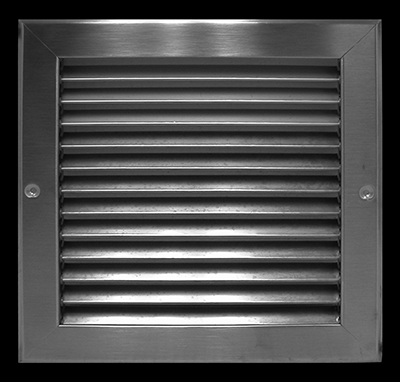 The Series SSDL Deep Louvered Return Grille is a non-adjustable 1/2" deep return grille made with louvered blades for limited vision on exterior applications. The blades are reinforced from the rear on approximate 12" centers. 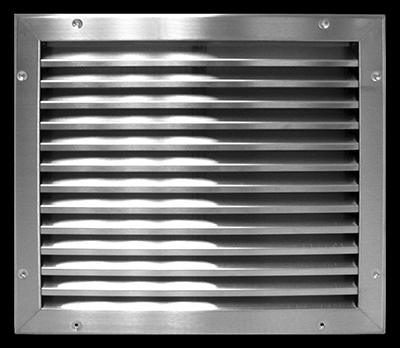 The 550 LT Series Long Throw Return Air Grille is styled to match the 150 and 250 Supply Grilles. 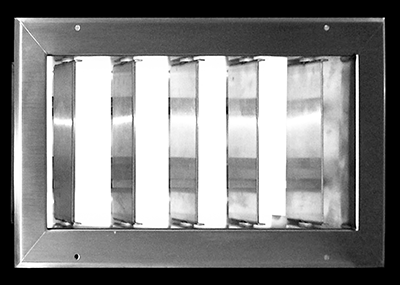 The face bars are non-adjustable and available iin either a horzontal position (H) or vertical position (V), factory set at either 0º or 45º degrees, spaced on 1.5" or 3" centers, with custom configurations available at an additional cost.